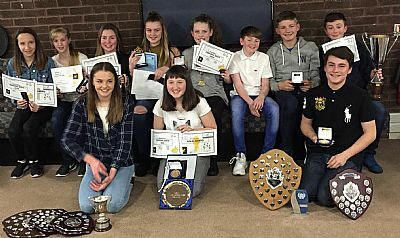 The Junior Section of Annan & District Athletics Club held their annual presentation night at the Football Club on Friday 16th November. Firstly Attendance Certificates were presented to all athletes. 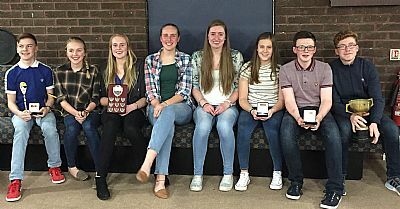 Platinum Awards for attendance were presented to the following athletes:- EVIE BRYDEN, AARON MILBURN, JACQUI MILBURN, GRACE THORBURN & PHEOBE THORBURN with ELLIE BYERS being awarded the 40th Anniversary Trophy for the best attendance. 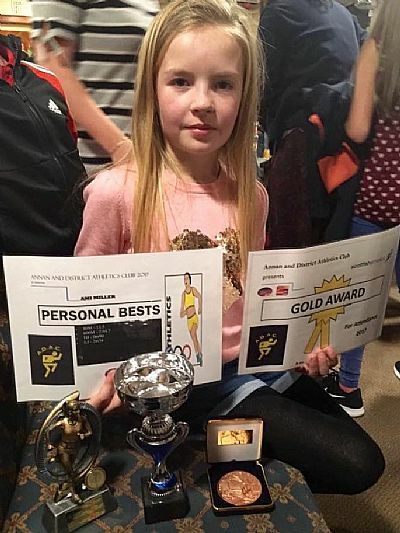 All athletes were then presented with a certificate of their personal best performances over the season. 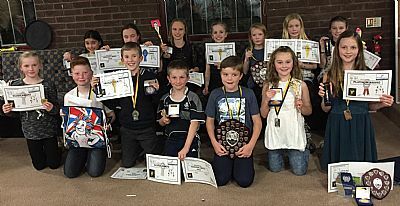 The cross country trophies were then awarded for 2017/18 session. To qualify for the cross country championships athletes had to take part in a minimum of 3 Cumbria League Cross Country races (excluding Under 9’s) and the ADAC River Race. Medals were then presented by the coaches to the athletes that took part in the ADAC Championships. 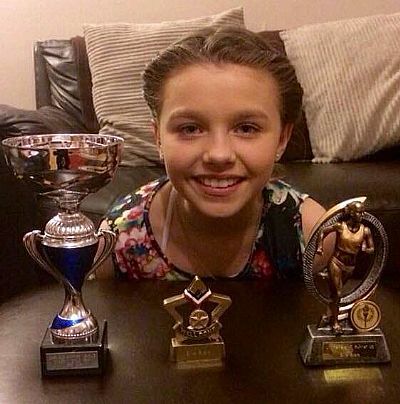 All athletes had to take part in 4 disciplines:- sprint, long jump, shot put & 800m/1500m. Medals were then presented to athletes for their overall performances in track & field. Each coach presents an award to athletes that have shown determination, always try their best, have developed and improved their performances. 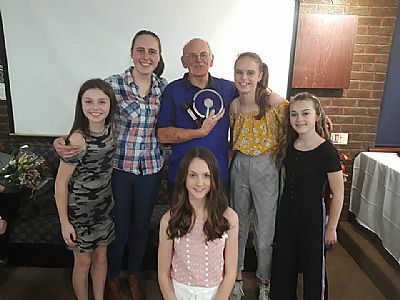 Jim Sloan was presented with a mounted discus, by junior members Erin Quinn and Alison Pringle, for his 35+ year service to the Club as a coach and throwing athlete. 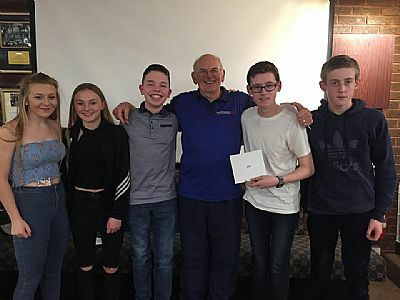 At the end of the presentation athletes Danny Bryden, Nicole Byers and Catriona Paton thanked coaches Mhairi Pringle, Bob Morgan, Jim Sloan, Adrian Garrett & Joe Boardman for their dedication and commitment to the junior section. 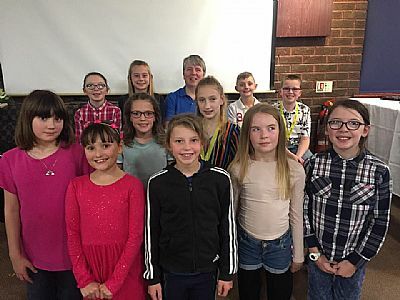 They also thanked Mrs Jennifer Dalgleish and parents for their continued support. 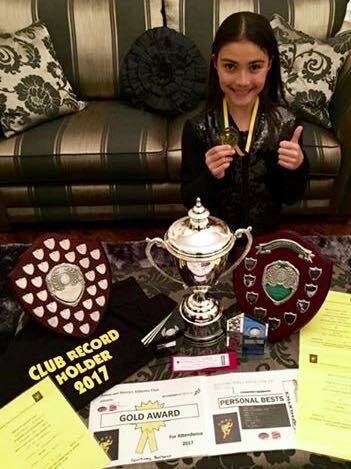 Well done to our Junior Section on another successful year. 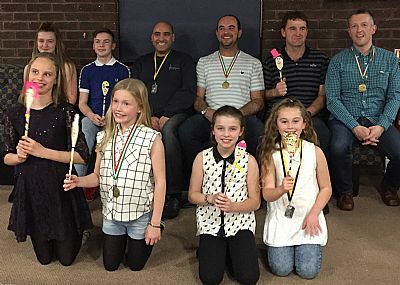 The Junior Section held their annual presentation night at the Football Club on Friday 17th November. Firstly trophies were awarded to athletes that took part in the ADAC Cross Country Championships. To qualify athletes had to take part in 3 Cumbria League Cross Country races, the Annan River Race and any other major Cross Country Championship. 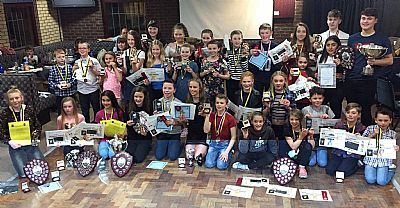 Every athlete was then presented with a Certificate of their personal best performances for the season and an Attendance Certificate. 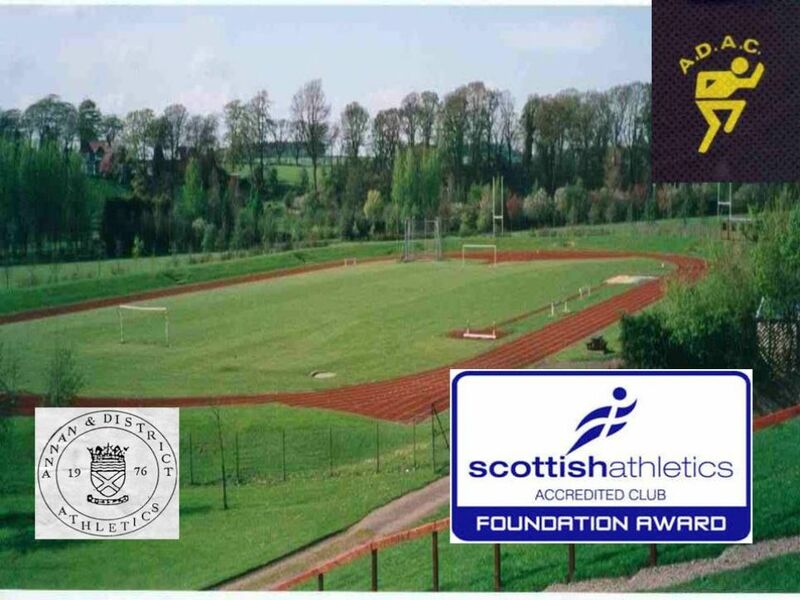 Athletes take part in all 4 disciplines – sprint, middle distance run, throw and long jump. Participation Ribbons awarded to: Matilda Brockley, Lucy Kirkpatrick, Neve McGoldrick & Lucy Wright. Participation Ribbons awarded to: Ellie Byers, Leah Jamieson, Cicely Johnson-Ferguson & Erin Quinn. Participation Ribbons awarded to: Catriona Thompson & Erin Thompson. 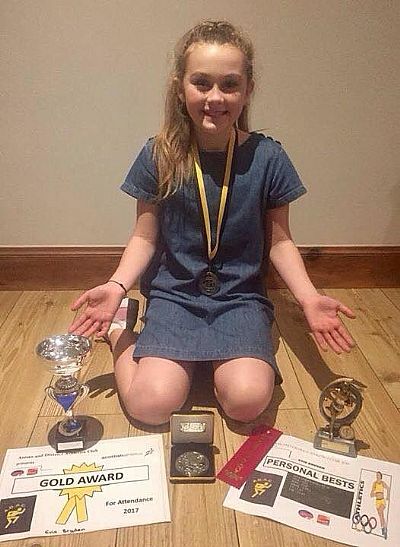 These awards are presented to athletes that always try their best, who have developed and improved their performance. This trophy is awarded to the athletes with the best attendance records and who both obtained a Platinum Attendance Certificate. This trophy is award for outstanding performance in Long Jump. This trophy is awarded for exceptional performance in throwing events. 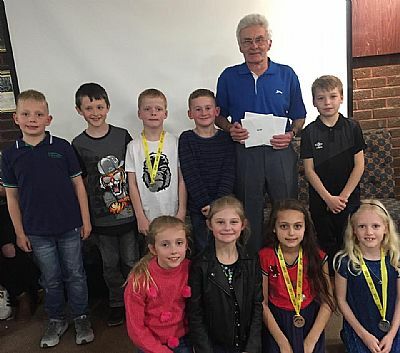 Steve Ovett donated two of his trophies to the Junior Section of the Club to be awarded to the fastest female 800m runner and fastest male 1500m runner. 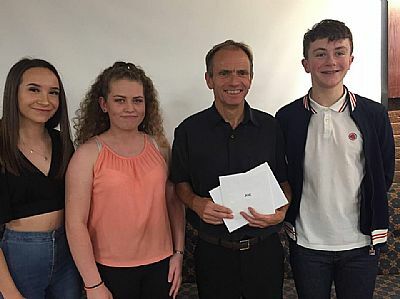 After the presentation Navdip Atwal, Nicole Byers, Paul Kitzinger & Catriona Paton gave a speech and thanked all the coaches for their dedication and commitment to the Junior Section. Each coach was then presented with a gift from the juniors. 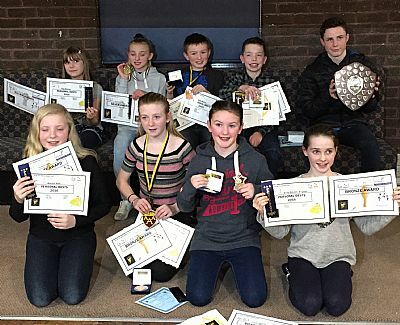 Annan & District Athletic Club held their annual Junior Presentation Evening on Friday 18th November. 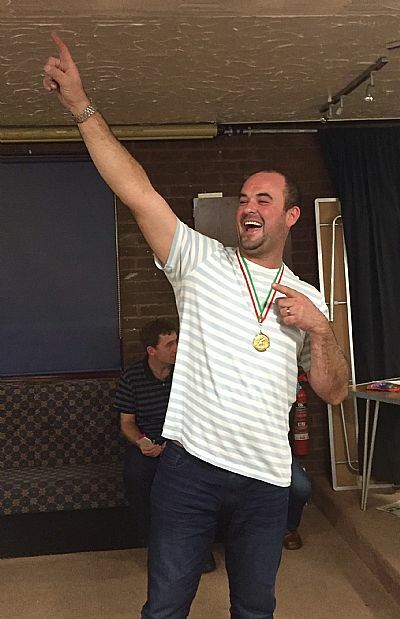 Firstly medals, certificates and even wooden spoons were awarded to athletes/parents from the winning and losing teams that participated in our 40th anniversary celebrations. 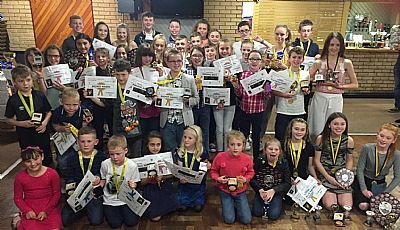 Every athlete was then presented with a Certificate of their Personal Bests in 2016 and an Attendance Certificate. A new trophy was introduced this year in light of our 40th Anniversary. 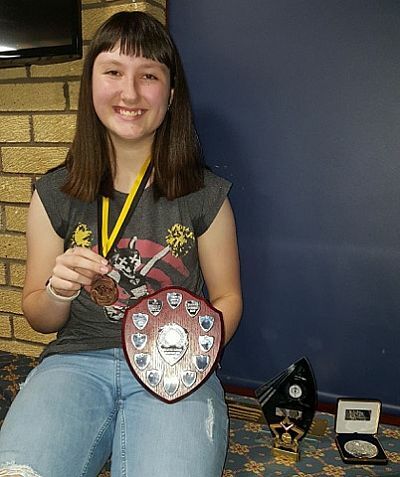 The Annan & District 40th Anniversary Sheild for Attendance was awarded to Nicole Ritchie who obtained a Platinum Award. Under 11 Girls - 1st Courtney Barbour, 2nd Evie Bryden, 3rd Nicole Ritchie. Participation Ribbons awarded to Alice Barnard, Erin Quinn, Ellie Byers, Leah Jamieson. 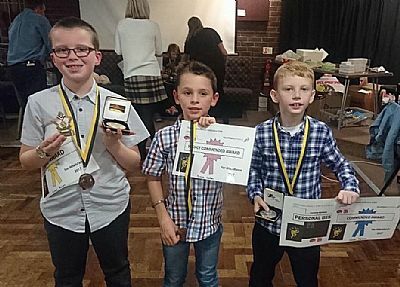 Under 11 Boys - 1st Alex Waugh, 2nd Jake Kirkpatrick, 3rd Jordan Cassell. 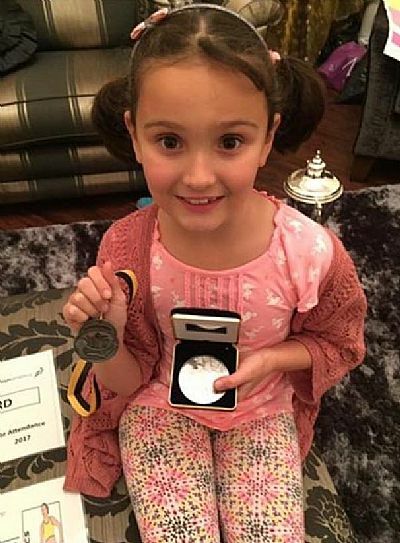 Under 9 Girls - 1st Ami Miller. Under 11 Girls - 1st Nicole Ritchie, 2nd Courtney Barbour, 3rd= Evie Bryden & Erin Quinn. Under 11 Boys - 1st Alex Waugh, 2nd Jake Kirkpatrick 3rd Oliver Barnard. Under 13 Girls - 1st Isla Cooper, 2nd Emily Barnard, 3rd Shannon Rees. Participation Ribbions awarded to Cicley Johnson-Ferguson & Rona Sandford. Under 13 Boys - 1st Robbie Byers, 2nd Pardip Atwal, 3rd Jake Mitchell. Under 13 Girls - 1st Zoe Mitchell, 2nd Emily Barnard, 3rd Isla Cooper. Under 13 Boys - 1st Oscar Roberts, 2nd Robbie Byers, 3rd Jake Mitchell. Under 15 Girls - 1st Nicole Proudfoot, 2nd Holly Cassell, 3rd Kathryn Pow. Participation Medals were also awarded to Catriona Thomson, Anna Park, Nicole Byers, Catriona Paton and Hannah Garrett. Under 15 Boys - 1st Finlay Waugh, 2nd Danny Gracie, 3rd Danny Bryden. Under 15 Girls - 1st Nicole Proudfoot, 2nd Holly Cassell, 3rd= Nicole Byers & Hannah Garrett. Under 15 Boys - 1st Danny Gracie, 2nd Finlay Waugh, 3rd Danny Bryden. Under 17 Women - 1st Grace Pow, 2nd Navdip Atwal. Under 17 Women - 1st Grace Pow, 2nd Emily Nicholson, 3rd Navdip Atwal. Under 17 Men - 1st Euan Waugh, 2nd Euan Murray, 3rd Paul Kitzinger. Under 20 Women - 1st Catrina Pringle, 2nd Alison Pringle. 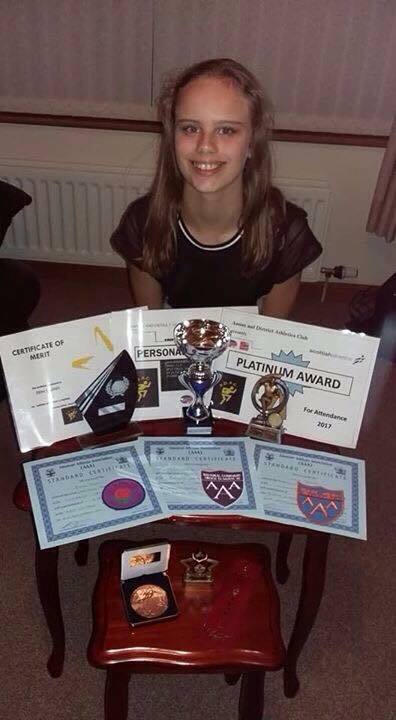 Under 15 Girls - Nicole Proudfoot - Pentathlon, High Jump & Long Jump. 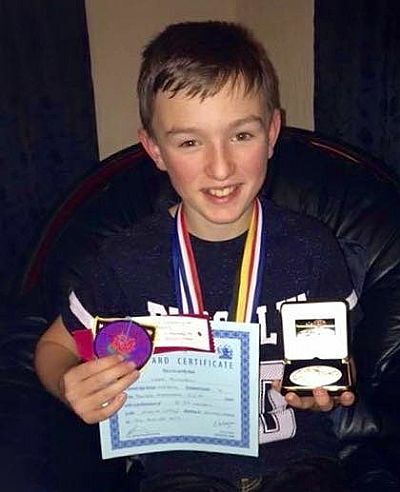 Under 15 Boys - Danny Gracie - Hammer. Under 17 Women - Grace Pow - 1 mile race. Under 17 Men - Euan Murray - Hammer. Under 20 Women - Catrina Pringle - High Jump & Alison Pringle - Hammer. 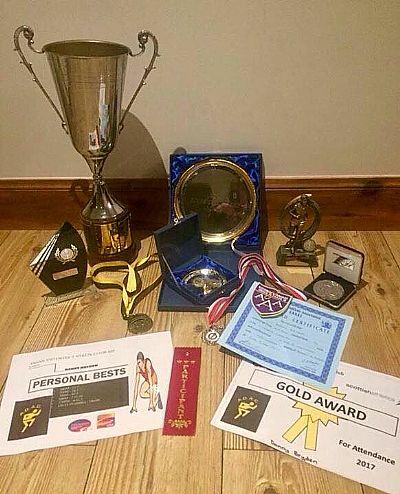 Trophies were awarded to athletes that always try their best and never give up. Jim Sloan Award - Jessica Murray. 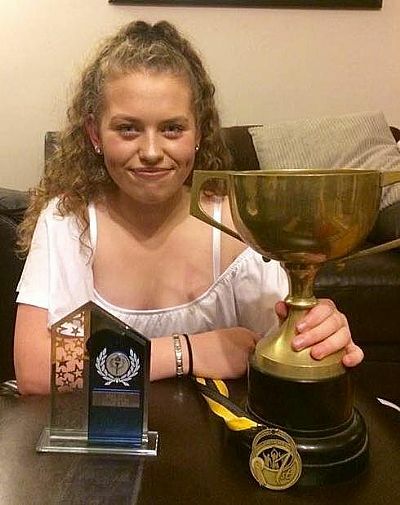 Bob Morgan Award - Zoe Mitchell. 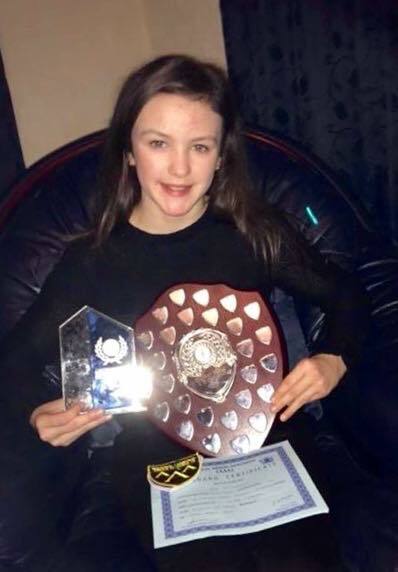 Mhairi Pringle Award - Catriona Thompson. 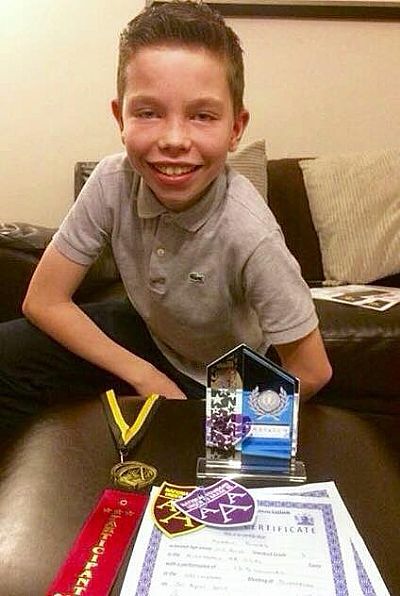 Adrian Garret Award - Lewis Murray. Austin Gracie Award - Robbie Byers. 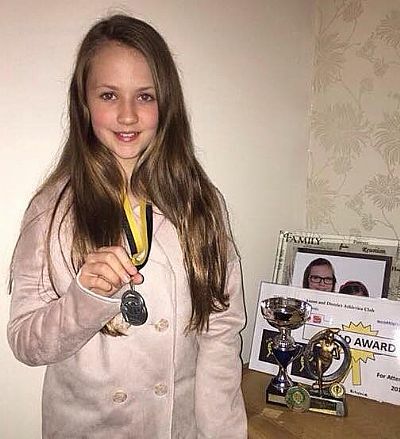 Steve Ovett donated two of his own trophies to the Club to be awarded to the fastest female 800m athlete and male 1500m athlete over the season. This trophy is awarded to a Field Athlete for outstanding performance. 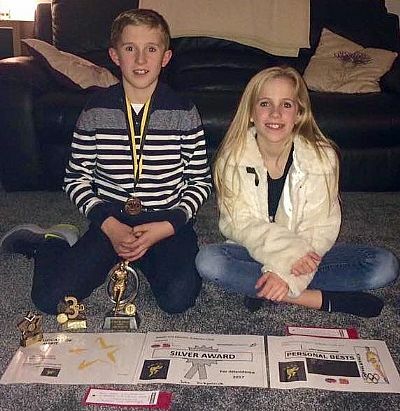 Hannah Garrett & Euan Waugh. This trophy is awarded to an athlete with an outstanding performance in long jump. 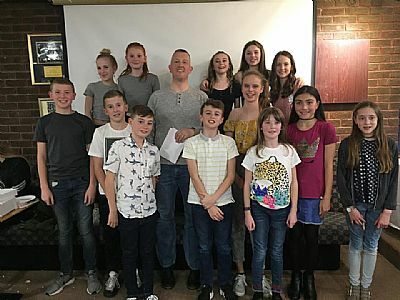 After the presentation the Junior Reps Euan Waugh & Euan Murray gave a speech and thanked all the coaches for their dedication and commitment to the Junior Section of the Club. Each coach was then given a small token of appreciation from athletes and parents.